Nearly two-thirds of St. John is protected by the National Park Service, which provides moorings in most anchorages to protect the reefs and seabeds from anchor damage. Volunteer hosts monitor the anchorages. We met Capt. David and his dad, volunteer hosts living aboard their sailboat in the bay. For information on being a volunteer host, visit bit.ly/vinpvolunteer. 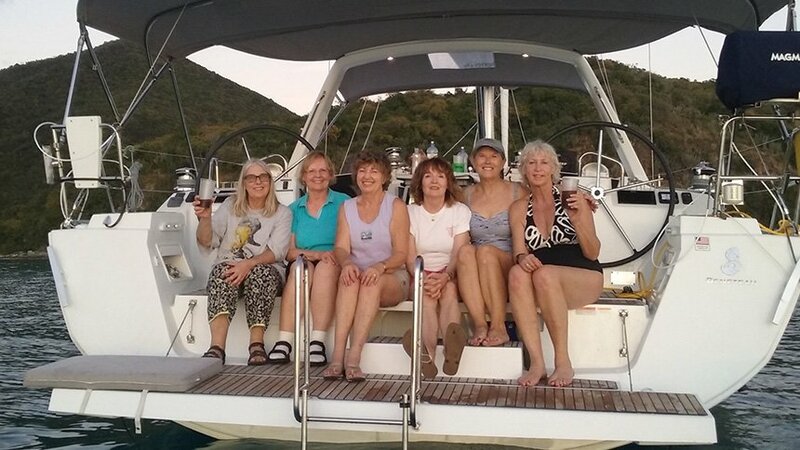 After a day’s sail, we anchored in Christiansted Harbor, St. Croix. We explored the historic town and got permission to anchor overnight at Buck Island Reef National Monument, an hour’s sail away. The Virgin Islands government made Buck Island and its reefs a territorial park in 1948. In 1961, the National Park Service took control, and to preserve “one of the finest marine gardens in the Caribbean Sea,” President John F. Kennedy established the Buck Island Reef National Monument. President Bill Clinton expanded it in 2001. The national monument has a fantastic marine park with an underwater snorkeling trail as well as numerous hiking trails to the summit for panoramic views of the islands. Our permit allowed overnight anchoring in about 15 feet of sand bottom on Buck Island’s west side. The marine park on the east side is enclosed by reef and has mooring balls for day-use only. From our anchorage, the east side was a 20-minute dinghy ride away. The underwater trail is a series of flat markers—some with pictures—placed on the seabed, describing the coral and fish in the area. As we followed the trail through the clear turquoise water, schools of blue tang swam through pristine stands of elkhorn coral. We saw many tropical fish but, sadly, no sea turtles. The next morning, Dream Machine sailed to Puerto Rico’s Culebra Island, where we enjoyed great food and drinks at waterfront restaurants and browsed small shops. The following day, we took one of the local buses that provide affordable round-trip rides to the beaches and snorkeling sites. We swam and walked along Flamenco Beach, one of the world’s top five beaches. It has basic shower facilities and food and drink stalls. Dream Machine returned to St. Thomas for an overnight stay off Water Island. We navigated to Francis Bay on St. John’s north side for more swimming, snorkeling and hiking before sailing back to Frenchtown Marina. Rendezvousing with Commander Larry Benjamin of St. Thomas Sail & Power Squadron in Charlotte Amalie was a highlight of the trip. We shared a great adventure and learned a lot about sailing, navigating and living aboard. Anne Hammond is a sailor and commander of Colorado’s Boulder Valley Sail & Power Squadron/30. Boulder Valley covers all of Colorado, including the Front Range and Western Slope. 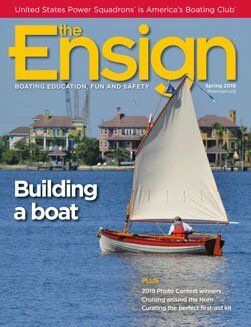 Members use skills from USPS courses to sail and boat all over the world. This article first appeared in the squadron newsletter, Boulder Beacon.